The Conspiracy of Credit is a must listen. It contains the most raw and comprehensive information you will ever find on credit. 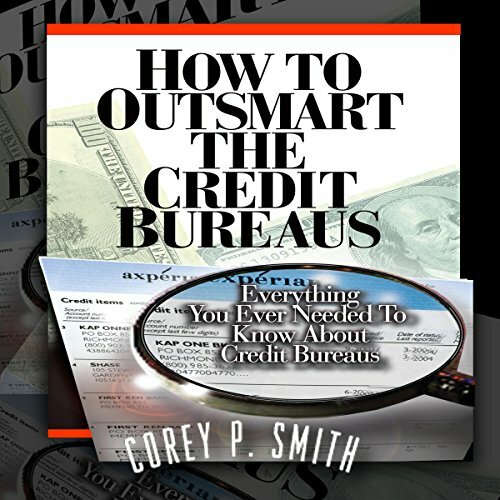 If you ever wondered, why the credit bureaus want you to have bad credit or why credit is for poor people, this audiobook will shock you with answers. 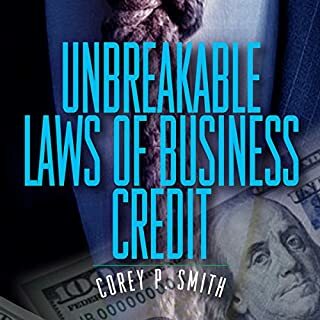 The Unbreakable Laws of Business Credit is an entrepreneurs guide to establishing any corporate structure and building great business credit at the same time. It reveals how to accumulate start-up capital for any business without using a personal guarantee, with step-by-step instructions on applying for corporate credit cards. Learn some of the secrets about using, buying, and establishing a shelf corporation. 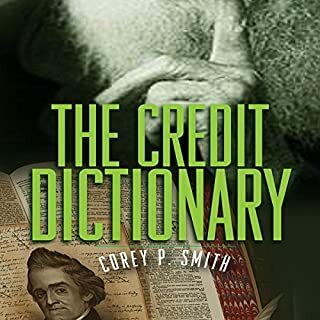 The Credit Dictionary is a self-help guide that teaches you how to recognize your financial vibrations as well as using positive self-esteem when it comes to success and conquering debt. Corey P. Smith explains and reveals how he became a successful real estate investor and entrepreneur by simply using the power of words coupled with the language of wealth. 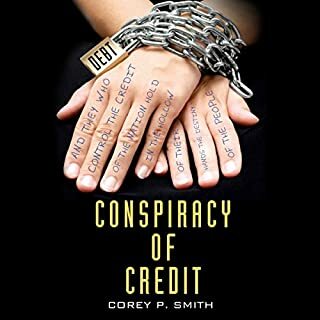 This audiobook provides the first true Section 609 Affidavit Dispute process created by Corey P. Smith over 12 years ago. This life-changing guide to a higher credit score is written in plain English without any jargon, big words or confusing language. Just easy to implement action steps that will help you dramatically increase your credit score! Credit repair is available to everyone. Roughly 30 percent of all Americans are dealing with a poor credit score, and more are falling into the trap of bad credit on a daily basis. When you are at the bottom of a debt-shaped hole, it can appear as though the deck is stacked against you and that you have no way of climbing your way out. This is quite simply not the case, and this audiobook can show you how much power you really have when it comes to improving your situation in as little as a few months' time. We need credit for everything nowadays, whether it's to buy a house, car, or get a loan. As you grow older, your needs change and so does your credit. Analyzing your own credit can be difficult if you don't understand what it entails. 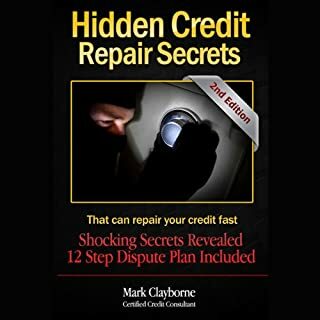 This audiobook will teach you the importance of credit and all the factors involved, from credit scores, debt, credit cards, and credit mistakes, that can contribute to or destroy ones' credit. Discover how to delete all negative items from your credit report! Real dispute letters and templates included in this special edition of Credit Repair. Anyone can improve his or her credit using the consumer laws set up for consumers to protect against creditors and debt-collection firms, including law firms. This book describes in detail where and how to start building a strong business profile. 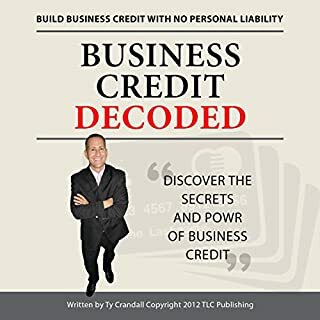 It takes time and effort to establish business credit, and this book destroys all the myths once and for all. In this book the listener will learn insider information on obtainig corporate credit which can eventually lead to financial freedom. The techniques and insider information that is shared with listeners in this book has been used by business tycoons such as Donald Trump and Richard Branson for years. A quick listen and a wealth of knowledge unmatched. Your credit rating plays a critical role in your financial life. It can determine what interest rates you pay and whether you will be approved for the credit card you want. It can also determine whether you get a car loan for the auto you're shopping for at an affordable rate and many times it can even cost you a job offer! Like it or not, a healthy credit score is essential if you want to participate in today's financial world. But very few people actually understand how their credit score is determined. Worse yet, most don't know how their score is used by all kinds of companies and banks to dictate financial terms that will strongly affect their daily lives. When consumers interact with the world of credit, they do so from a position of weakness. In Your Score, Anthony Davenport aims to change that. Finally, there's a road map for navigating the confusing world of consumer credit. Most people try to get out of debt. In fact, banks and government want you to be in debt - even if they say otherwise. I am going to show you how to use debt to make money! I am going to show you how to actually make money by just using your credit card. Robert Kiyosaki - a best-selling author on money and finance - clearly distinguishes the difference between good debt and bad debt. Well, I am going to show you some creative methods to make money with good debt. Imagine your entire life's credit performance reduced to a three digit number. You do not have to imagine it because it is real and chances are right at this moment, three credit agencies are now adding all your balances in your credit cards, computing all your unpaid mortgages, and counting all days of delayed payments. 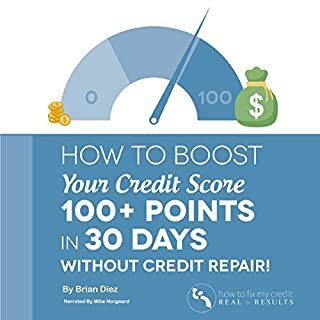 I recommend this book for anyone trying to repair their credit. I recommend the written version as there are form letters referenced that make it difficult to use them in this format ; otherwise it's a great book. I needed this a year ago..
Great research for everyone. I recommend for all to get back on track and free themselves from unecessary debt. This Book provided the Help I was looking for. One day I hope to meet the man behind the knowledge. I have been reading credit repair books since the mid 90s. The info in this book is very helpful. I also enjoyed the background of the credit reporting agencies. Yes! I'm old enough to remember TRW was Experian. In my opinion the book was outstanding. I highly recommend the book If you want a more in-depth knowledge of this industry. I left with more knowledge than I could have ever imagined. I sampled a lot of books before selecting this one and I am glad that I did. This book provides some interesting history on the credit unions. However I wouldn’t implement any of the strategies it contains, safe for the identity theft ones, if I truly were a victim of it. It also contains some strategies that are fraudulent, which is why it garners such a low review review for me. Corey P. Smith is a true guru on credit. I've read each of his books and watched several of his videos and each time, I've walked away more inspired and prepared to battle with the credit bureaus. Credit book and a must read for anyone looking to improve their credit and are seeking financial freedom. I liked that he gives a ton of information along with the background of the credit bureaus. Enough to get you ahead in the game. Would have preferred to hear Corey P Smith instead for voice. Besides that it is a great book with a wealth of valuable information.